In a fast-paced media world with far more deadlines than journalists, Skype interviews are becoming increasingly common. They are a quick and convenient way for journos to get interviews done, without having to leave the office. Problem is, sometimes the results aren’t that pretty. Bad lighting, messy backgrounds and distracting earphones can ruin a good Skype interview. So, if your office or home is Skype-enabled, and you’re willing to be interviewed at almost a moment’s notice, here’s what you need to know. Treat a Skype interview as you would a TV interview, so dress professionally. Turn off your computer’s notifications, mute your phone and shut the door. Tidy up behind you, and create a backdrop that suits the tone of the interview. As Tripepi Smith & Associates advises, have a light shining onto your face, from behind your computer. This can be from either a window or a lamp. Don’t have light behind you, as you’ll be in the dark, and light beside or above you will cast strange shadows. Set your computer’s camera at eye level – you don’t want to be looking up or down during the interview, but straight ahead. Ensure your computer is close enough so that your head and shoulders almost fill the screen. Yet, leave enough space below your chin for a ‘super’ (a strip of writing that gives your name). Avoid swivel chairs – moving during an interview is too distracting. Be grounded. Look at the camera at all times, not at the computer screen. It will be tempting to make eye contact with the journalist’s image on screen, but you’ll end up looking shifty. Don’t use notes – it’s too tempting to look at them and if you lose eye contact with the camera, you’ll look shifty again. As The Hodges Partnership recommends, don’t use headphones to hear the journalist. Turn up your computer volume instead. If you have to use phones, have a discreet white or black set on hand. And an excellent tip from CareerBuilder.com is this: add extra enthusiasm. Cameras have a way of flattening people, making them seem dull. So up your energy levels, be more animated than usual and you’ll come across perfectly normal on the screen. 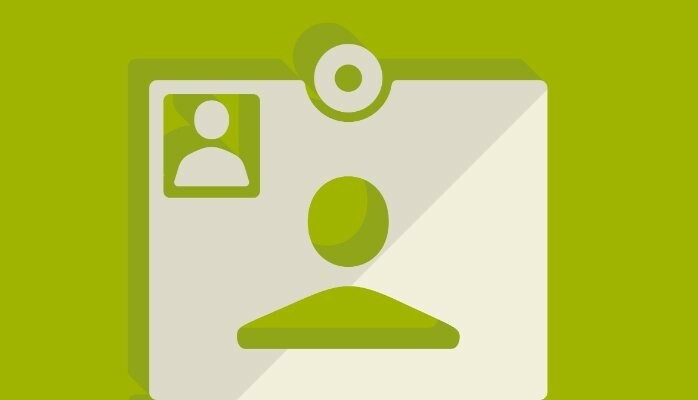 Create a professional Skype username. Your star sign or nickname doesn’t really cut it professionally. Have some working knowledge of how to fix basic issues with Skype technology. Always do a test run before an interview. Be early to Skype interviews because you never know what might go wrong at the journalist’s end. As Kerry Shearer suggests, invest in a clip-on, broadcast quality microphone. You’ll sound so much more professional. And, practice in front of a mirror if you’re prone to stage fright. Remember, Skype interviews never look as good as professional ones. But if you follow these steps viewers will be more inclined to stick around rather than change the channel.